The ribbon used can be reused for several purposes. 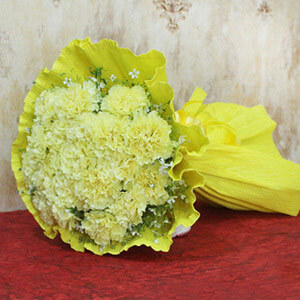 Colombia is the greatest producer of carnation flowers all over the world. 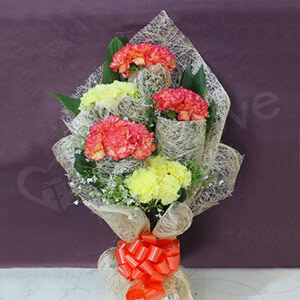 Carnations have a rich history and are also known as the flowers of god. Love is best described with beautiful flowers like this! 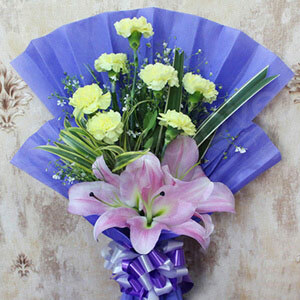 On a special day, when you wish to give a heart-warming present to someone dear, choose this lovely flower bunch which will definitely convey your heartfelt emotions to your dear ones. 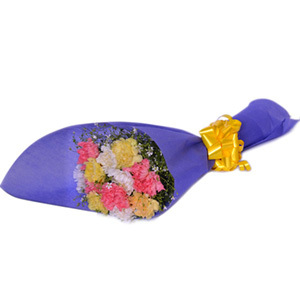 The perfect combination of Red Carnation flowers with pink oriental lilies is seen in this flower bunch that is wrapped beautifully with colored wrapping paper, making it appealing for the receiver. The quality of flowers was not at all good. At such an expensive price, this is not a worthy product.